1. 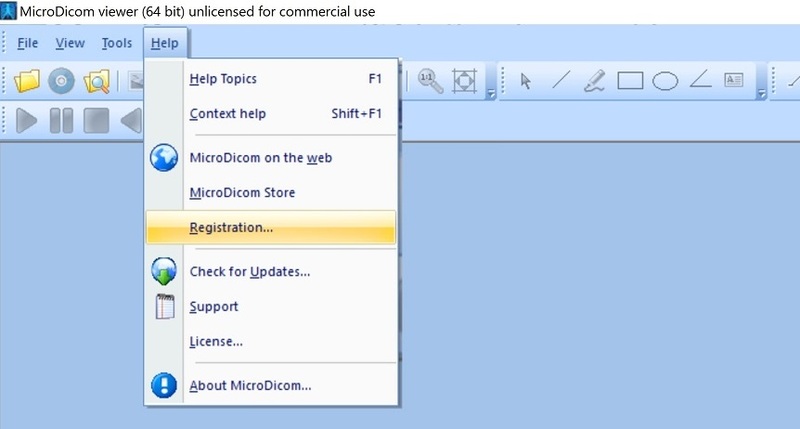 Download MicroDicom viewer autorun package from our download page. 3. Start mDicom.exe from Win32 folder. 2. Select Help menu and Registration... menu item. 3. In the following dialog just paste your name, email and serial number that you received after payment. The serial number and email are case sensitive! Please do not share your key with others! 4. Copy license.lic file from Win32 folder to x64 folder. The license file have to exist in both folder Win32 and x64. 5. The whole content should be placed in the root of CD/DVD. 6. 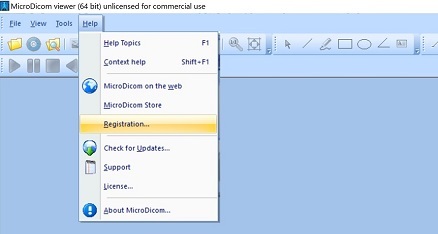 Now you have full licensed version of MicroDicom CD/DVD.